Not to be confused with The Wave. The Waves is a 1931 novel by Virginia Woolf. It is considered her most experimental work, and consists of soliloquies spoken by the book's six characters: Bernard, Susan, Rhoda, Neville, Jinny, and Louis. Also important is Percival, the seventh character, though readers never hear him speak in his own voice. The soliloquies that span the characters' lives are broken up by nine brief third-person interludes detailing a coastal scene at varying stages in a day from sunrise to sunset. In a 2015 poll conducted by BBC, The Waves was voted the 16th greatest British novel ever written. Bernard is a story-teller, always seeking some elusive and apt phrase. Some critics see Woolf's friend E. M. Forster as an inspiration for him. Louis is an outsider who seeks acceptance and success. Some critics see in him aspects of T. S. Eliot, whom Woolf knew well. Neville, who may be partly based on another of Woolf's friends, Lytton Strachey, seeks out a series of men, each of whom becomes the present object of his transcendent love. Jinny is a socialite whose world view corresponds to her physical, corporeal beauty. There is evidence that she is based on Woolf's friend Mary Hutchinson. Susan flees the city, preferring the countryside, where she grapples with the thrills and doubts of motherhood. Some aspects of Susan recall Woolf's sister Vanessa Bell. Rhoda is riddled with self-doubt, anxiety and depression, always rejecting and indicting human compromise, always seeking out solitude. She echoes Shelley's poem "The Question" (paraphrased: I shall gather my flowers and present them — O! to whom?). Rhoda resembles Virginia Woolf in some respects. Percival, partly based on Woolf's brother, Thoby Stephen, is the Miraculous but morally flawed hero of the other six. He dies midway through the novel, while engaged on an imperialist quest in British-dominated colonial India. Percival never speaks on his own in The Waves, but readers learn about him in detail as the other six characters repeatedly describe and reflect on him. The novel follows its six narrators from childhood through adulthood. Woolf is concerned with the individual consciousness and the ways in which multiple consciousnesses can weave together. The difficulty of assigning genre to this novel is complicated by the fact that The Waves blurs distinctions between prose and poetry, allowing the novel to flow between six not dissimilar interior monologues. The book similarly breaks down boundaries between people, and Woolf herself wrote in her Diary that the six were not meant to be separate "characters" at all, but rather facets of consciousness illuminating a sense of continuity. Even the term "novel" may not accurately describe the complex form of The Waves as is described in the literary biography of Woolf by Julia Briggs (An Inner Life, Allen Lane 2005). Woolf called it not a novel but a "playpoem". The book explores the role of the "ethos of male education" in shaping public life, and includes scenes of some of the characters experiencing bullying during their first days at school. Marguerite Yourcenar translated The Waves into French over a period of ten months in 1937. She met Virginia Woolf during this period and wrote: "I do not believe I am committing an error ... when I put Virginia Woolf among the four or five great virtuosos of the English language and among the rare contemporary novelists whose work stands some chance of lasting more than ten years." Although The Waves is not one of Virginia Woolf's most famous works, it is highly regarded. Literary scholar Frank N. Magill ranked it one of the 200 best books of all time in his reference book, Masterpieces of World Literature. In The Independent, British author Amy Sackville wrote that "as a reader, as a writer, I constantly return, for the lyricism of it, the melancholy, the humanity." Theatre director Katie Mitchell, who adapted The Waves for the stage, called the work "entrancing […] Woolf's point is that the lasting and significant events in our lives are small and insignificant in the eyes of the outside world." ^ Roe, Sue; Susan Sellers (2000-05-08). The Cambridge Companion to Virginia Woolf. Cambridge University Press. p. 308. ISBN 0-521-62548-3. ^ "The 100 greatest British novels". BBC. December 7, 2015. Retrieved April 17, 2017. ^ Mitchell, Katie (November 11, 2006). "Breaking the waves". The Guardian. Retrieved April 17, 2017. Francesco Mulas (2002), Virginia Woolf's The Waves: A Novel of “Silence”. Jocelyn Rodal (2006). 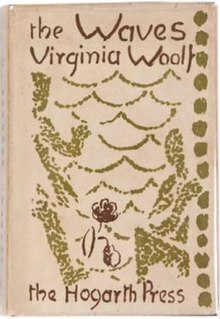 "One World, One Life": The Politics of Personal Connection in Virginia Woolf's The Waves.